Our Journey to Mia Lin: Is our stork on the way? Is our stork on the way? 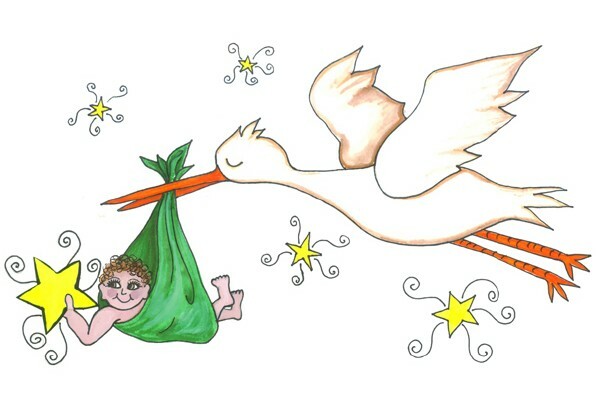 Rumor has it our stork could be in route!!!!!!!!! OMG!!! I hope the stork in on the way, what an exciting surprise rumor. Fly stork fly. Maybe we will see you in China!! I've been following your journey for almost 2 years. I CANNOT wait to see your beautiful angel's face! How exciting!!! I have been lurking at your blog for so long, years. I can't wait to see pictures of Mia in your arms! What was the age you requested? Could she be twins? I was just reading RQ... oh Sara! Get ready! Mia is coming!! Oh my goodness... That would be FANTASTIC!!! And what a Christmas present (albiet a bit belated)!!! Merry Christmas and I can't wait to see your Mia's beautiful little face!!! Oh, this would be the best news EVER!!!!!!!!!!!!!!!!!!!!!!!!!!! I am hoping and praying that you'll see Mia's beautiful face ASAP!!!!! I will be watching for that stork. It can't get here soon enough! It has been a long wait for all of us following your journey and we can't wait to share in the excitement that stork will bring! Hugs!!! Can't wait to see your precious angel. I sure hope the stork is in the air!!! How exciting!!!! I'll keep my eyes open here and send him your way if I see him. He seems to get lost this time of the year and need a little direction. I've got goosebumps on my goosebumps!! I'll be watching with fingers crossed. I just found your blog and you're about to get your referral, how exciting! I've been waiting 20 months and one week so I have quite a ways to go still. I'll keep checking for new news! Have a wonderful day & Go Hawks!